(CBS) A new study released online Sunday in the journal of Pediatrics suggests that all children should be screened for high cholesterol, contrary to the current recommendation by the American Academy of Pediatrics. The current national recommendation suggests that children be screened only when their parents or grandparents have been diagnosed with heart disease prior to age 55, when at least one parent has total cholesterol over 240, or when family history is not available. But researchers studying fifth graders in West Virginia since 1998 found that more than a third of the kids had serious cholesterol problems. "We would have missed 36% of children with seriously high LDL." 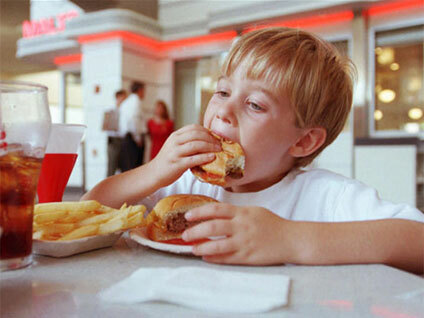 said William Neal, the study's director and a pediatric cardiologist at West Virginia University. Of the several types of cholesterol, scientists consider LDL, or low-density lipoprotein, to be indicative of heart disease if the body builds up too much of it. 20,266 children in total were screened throughout Neal's study, including 5,798 of which would not have met the current screening guidelines. Researchers found 268 children with cholesterol high enough to be treated with medication, of which 36% came from the "lower risk" group. The study's authors believe that if all children are screened and treated at a young age then heart disease can be prevented later in life, according to the L.A. Times. The study states that the reason for the current screening guidelines, established in the 1990s, was to discourage labeling children with heart risk and to avoid the overuse of cholesterol drugs in kids, reports the Wall Street Journal, a fear some still have today. The study is state funded and does not involve drug-industry sponsorship, according to the paper.